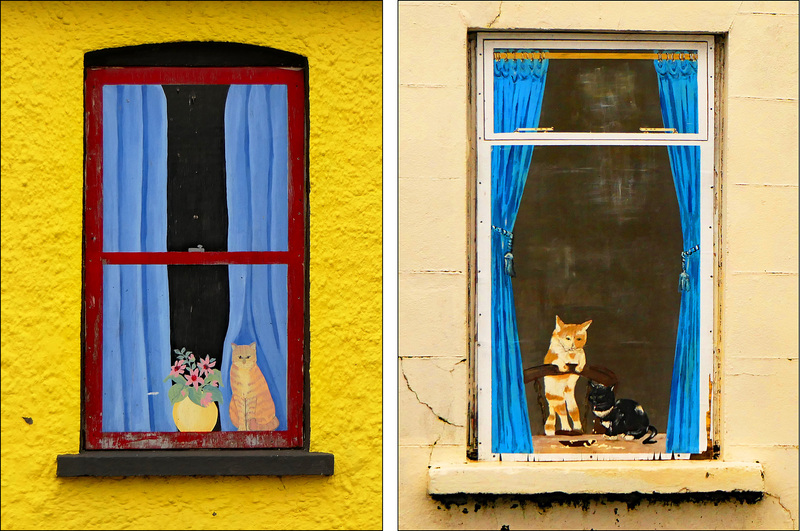 Remember that photo of the yellow house in Ballina, the one with the picture of a window painted on the front? I promised to eventually show you closeups of the painted window, along with another one in Ballina, and today’s the day. The one on the left is from the yellow house. The one on the right is from a nearby, paler yellow house. I’m not sure if this business of covering up windows and then painting pictures of windows on them is some kind of Ballina tradition, or if it’s just a coincidence. Maybe some Irish readers would like to chime in?